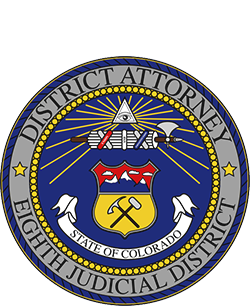 The Larimer County District Attorney's Office welcomes citizens and college or graduate students to apply for available internships and volunteer opportunities with us. We seek applicants who are teachable, motivated, and want to make a difference in our community through their service. Anyone 18 years of age and older who can successfully pass a background check may apply; however, for some positions, a degree or education in a specific field may be required or preferred. All internship and volunteer positions are unpaid. What Internship or Volunteer positions are available and what type of experience would I get? 1L Law Interns-County Court (1 position): Under the supervision of a Chief Deputy District Attorney, 1 L interns will handle traffic offenses, misdemeanor crimes, petitions to seal records, and appeals. Victim Witness Division (2 positions): Assist victims through the criminal justice process in an informative, supportive manner that enables them to be involved, seek appropriate Restitution, and provide input into the process. The 2 positions are a mixture of job assignments. The Burg2 Caseload & Restitution Assistant positions share the responsibility of managing the Sentence Outcome letters workload. Central Services (as needed/varies): Assists in the provision of administrative support for the entire Office of the District Attorney and performs activities associated with supporting an imaging and records management center. Interns/Volunteers will be given the opportunity to learn firsthand about the Criminal Justice System and how the court process operates, work with various members of our staff who interact with the court system in some fashion, and practice skills through assigned tasks. Students can use the hours they work to assist with completing their degrees. Also, the knowledge and experience gained is an impressive addition to any resume. What are the minimum requirements and time commitment for internships and volunteer positions? We expect interns and volunteers to treat their commitment like they would a regular job by coming into work when they are scheduled, calling in or informing us when they cannot be here as scheduled, and behave/dress appropriately. Confidentiality is extremely important to the work that we do at the District Attorney's Office. Therefore, all Interns and Volunteers must be willing to follow a code of ethics that includes maintaining the Confidentiality of the information and people we work with. The time commitment required for an intern/volunteer is dependent on the position they are applying for. While some positions require a minimum of 10 hours per week for at least one semester, please refer to the Job Descriptions for clarifying information. What are the requirements for applying for a Law Internship? In order to practice law as a student, one needs to have completed their second year of law school, and thus be an L2 student. Otherwise, the application process is the same as all other interns or volunteers. If you are about to finish your second year, you may still apply for a Law Internship that will begin following the completion of your second year. It is understood that the paperwork needed for the Certification of Eligibility for the Student Practice can't be filed before the end of that school semester. We work with applicants in this situation on a regular basis. We have an L1 intern position for first year law students. Please refer to the Job Description before submitting an application. We welcome applications for our summer positions as early as one year prior to the summer you would like to intern. If there is a specific area of our Office that you would like intern/volunteer for that does not match any of our Job Descriptions, you may submit an application explaining what you want to do. We are happy to look into whether we can accommodate your request and will let you know if it is possible or not. You can apply anytime and simply indicate in your application the approximate time or semester you would like to intern. The optimal time to apply for most positions would be at the end of the months of February, June, and October. The exception to this is our Law internships as we accept applications for those positions at any time. Social Work students may also apply any time for whatever semester they are interested in being considered for and we conduct interviews shortly after receipt of those applications. A background check and fingerprint scan will be completed at some point in the process. Any crime against a person may disqualify you from the process. To apply, complete the Intern Volunteer Application Form. Attach your cover letter and resume with the emailed form. Be sure to indicate in BOTH the application and your cover letter the position(s) you would like to be considered for. When will I hear back once I've applied? The Volunteer Coordinator will email you confirmation that your application has been received and provide information about a timeframe for the interview process. You will be notified if you are not selected to interview for current, open positions.